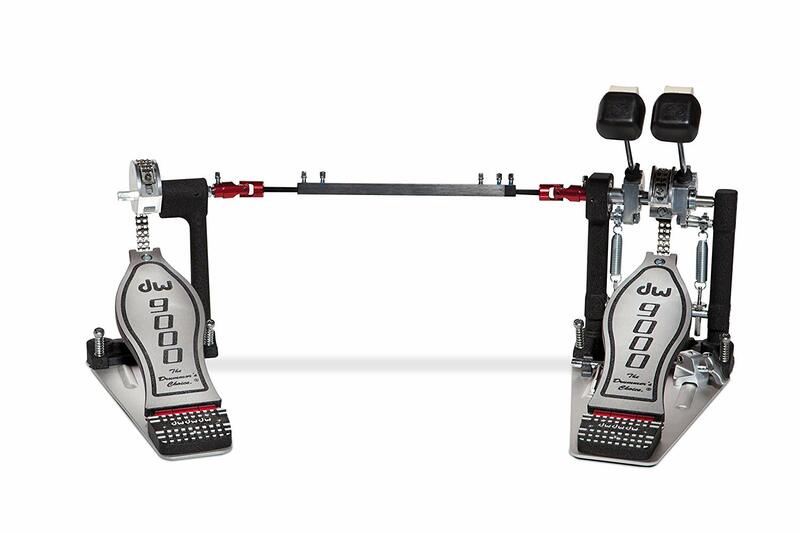 DW 9000 Double bass pedal is one of the best high-end double bass pedals on the market of today. It boasts a massive performance level, it’s highly durable, and the features it comes supplied with are top-shelf, without any doubt. The sensitivity of DW 9000 Double bass pedal offers plenty of versatility, as the EZ Infinite cam is easily adjustable. You can use this feature to customize your drumming experience as you see fit. Overall, it’s easy to setup, it boasts a high level of performance, but it costs quite a lot. This double bass pedal is constructed of extremely durable materials, and it’s safe to say that DW 9000 Double bass pedal was built to last. The entire construction is supported with the non-skid rubber pad, completely removing any possibilities of unwanted sliding or skidding. 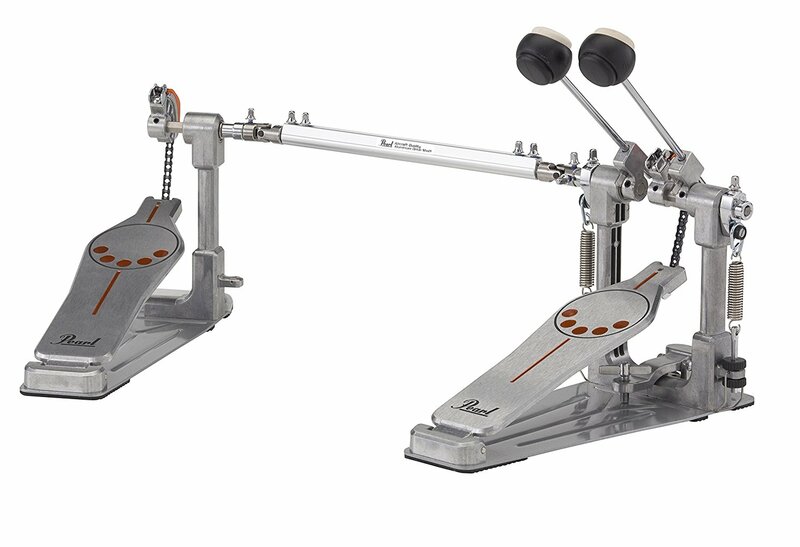 DW 9000 Double bass pedal belongs to the “expensive” price point category, but there’s a manifold of reasons why it’s considered to be valuable. For instance, it offers a more serious approach to drumming, making it ideal for professionals. Furthermore, it’s outfitted with state-of-the-art technology and features. All in all, DW 9000 Double bass pedal holds quite a value for the cash. For more about DW 9000, check out customer reviews on Amazon. Tama is one of the most recognizable brands in the drum gear industry, and it’s no surprise that some of their models end up in comprehensive guides such as this. Anyhow, Tama Speed Cobra 910 double bass pedal is one of the best in the series due to reliable spring attachments and fast reaction bearings. 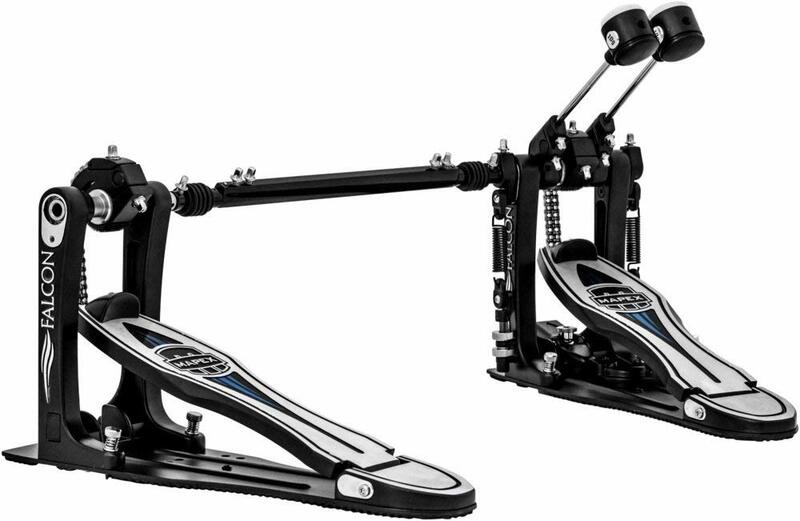 Tama Speed Cobra 910 double bass pedal features an exquisite, beautiful design. Furthermore, it comes equipped with a swivel-spring mechanism, Accu-strike beater, and various other premium-quality features. This double bass pedal is not only durable, it also offers great opportunities for intermediate and professional level drummers to spice up their drumming skills due to a high level of versatility. Even though Tama Speed Cobra 910 double bass pedal belongs to the “medium expensive” price point category, it’s actually a bargain. Why is that so? This drum pedal is seriously underpriced, as it’s a pure representative of true quality. The exquisite appearance, the high level of durability and versatility – these are just some of the reasons why Tama Speed Cobra 910 double bass pedal is superior when compared to other double bass pedals. For more about Tama Speed Cobra 910, check out customer reviews on Amazon. 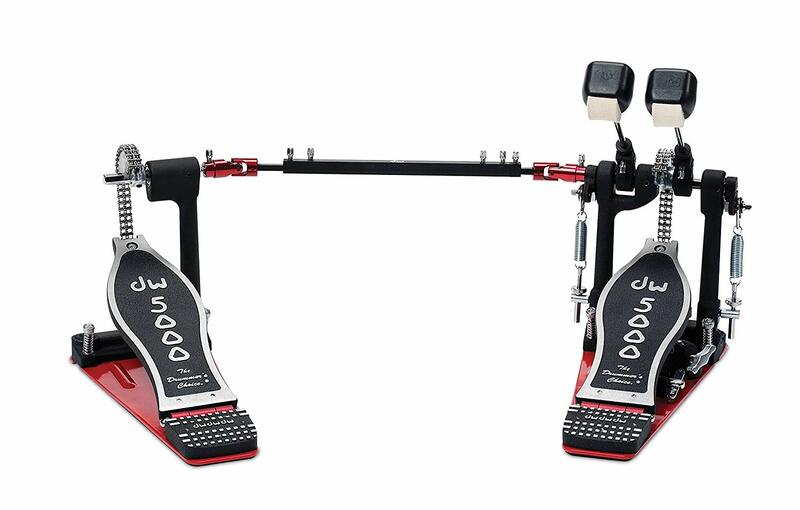 Here we have another double bass pedal set from Drum Workshop – the DW 500w Accelerator double bass pedal. This pedal is just slightly less expensive when compared to the last model we’ve reviewed (DW 9000), but it can easily go toe to toe with it in the matter of performance. The Drum Workshop Inc™ have made it clear that their customers shouldn’t settle for less than quality, and DW 500w Accelerator double bass pedal is not an exception. This pedal, along with the accompanying hardware, boasts an excellent level of durability. 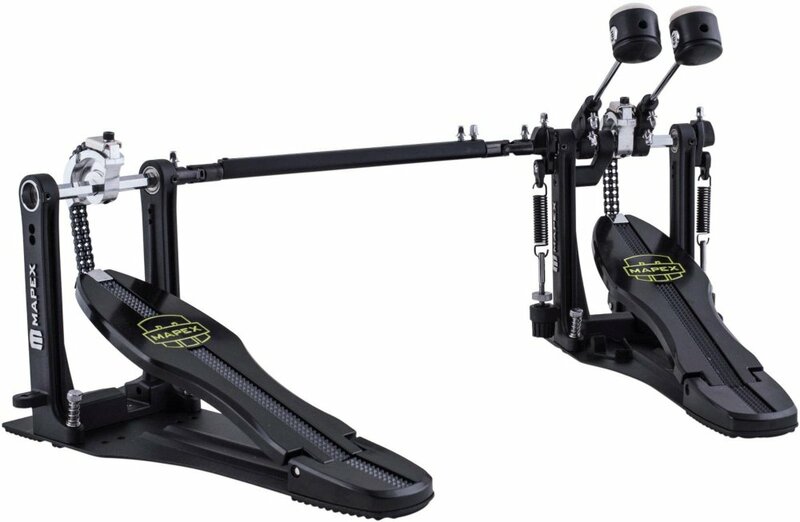 DW 500w Accelerator double bass pedal belongs to the “moderately expensive” price point category, and it’s easily one of the best double bass pedal models in the price range. The reasons for that can be seen in the superior Drum Workshop technology, as this pedal comes supplied with premium-quality features. For more about DW 5002, check out customer reviews on Amazon. Mapex builds only the best drum gear, and their Falcon Chain-Drive Bass Drum Pedal might be the pinnacle of their craftsmanship. This pedal boasts a high level of durability, it comes equipped with a reduced base size, the footboard and beater angle can be easily adjusted, and more. Falcon Chain-Drive Bass Drum Pedal is a durable pedal in its own right, but the majority of features focus on versatility and performance over hardiness. Anyhow, it’s safe to say that Falcon Chain-Drive Bass Drum Pedal isn’t flimsy, but there are more durable models out there. Falcon Chain-Drive Bass Drum Pedal is definitely valuable for the cash, mainly because it’s considered as one of the smoothest pedals in the price range. Using this pedal feels natural, and you’ll even compare the feel with the “extension of your own legs” after a while. All in all, Falcon Chain-Drive Bass Drum Pedal is great for the cash. For more about Mapex Falcon Chain-Drive, check out customer reviews on Amazon. 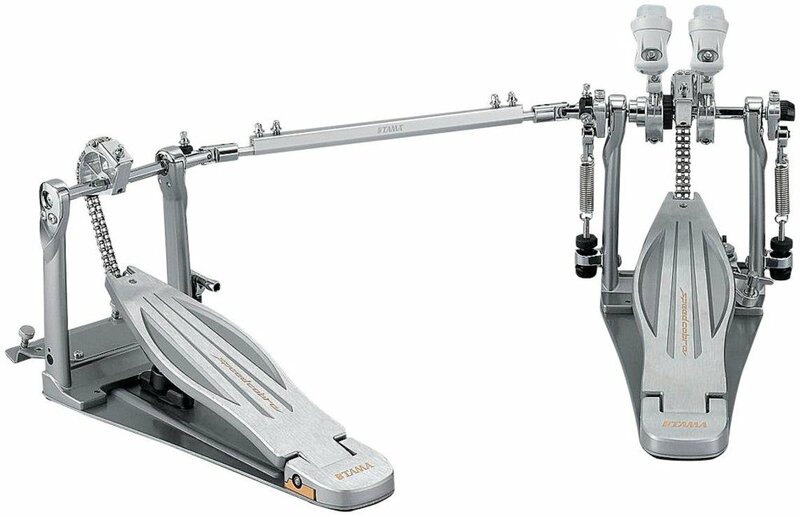 The last Drum Workshop Inc double bass pedal in our review is the DW 3002 Double Bass Pedal. This model comes from the famous DW series, just like the two models we’ve mentioned earlier. Now, we can safely conclude that DW 3002 Double Bass Pedal is the best double bass pedal for the money, but we’ll let you be the judge of that. The steel baseplate is one of the reasons why DW 3002 Double Bass Pedal boasts a high level of durability. Furthermore, this is also the reasons why the construction of this double bass pedal is stable, making it slide-free. 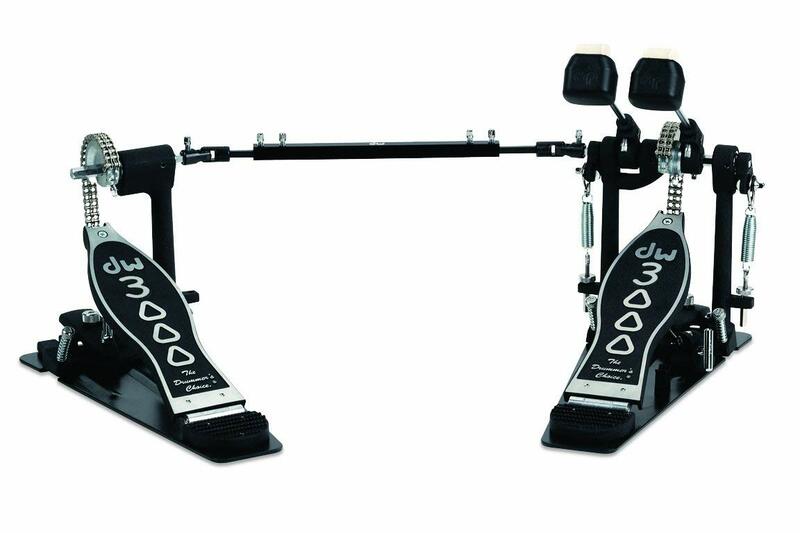 Putting it short, DW 3002 Double Bass Pedal is highly valuable for the cash. It’s decently affordable, it comes supplied with high-quality features, and its construction was made to last. All things taken into account, you’ll have a hard time finding a better double bass pedal in the price range. For more about DW 3002, check out customer reviews on Amazon. The word “Demonator” surely sounds evil, but this double bass pedal just might be one of the most benevolent pedals you’ve seen. It has been colored in beautiful white with black and red patterns, and, most importantly, it’s as cheap as can be. Pearl’s P932 Demonator single-chain double bass pedal is made in a straightforward way. The construction process involved high-quality materials, but, sadly, this pedal isn’t the most durable model you’ll find. Anyhow, it’s sturdy enough to survive years of pounding, but you might want to consider going easy on it. As with all budget double bass pedals, Pearl‘s P932 Demonator single-chain double bass pedal holds a great value if you’re down of cash. Even in the event that you are not, it’s still pretty good considering that it features various adjustable parts and premium-quality features. For more about Pearl P932 Demonator, check out customer reviews on Amazon. The armory series is full of pleasant surprises, as it’s filled with highly durable, premium-quality drum gear and bass pedals. Mapex P800TW response drive double bass pedal is such a thing, and there’s a full list of reasons why we count it as one of the best double bass pedal for the money models. Mapex Armory P800TW Response Drive double bass pedal is decently durable, but it just can’t compare in this field with the models we’ve previously mentioned. Anyhow, the design of this pedal is enough to compensate for the lack of durability – it features a reduced footboard, making this double bass pedal more convenient and easy to use. Basically, all you need to know is that the Mapex Armory P800TW Response Drive double bass pedal belongs to the “cheap” price point category. Actually, it’s a bargain if you take all of the magnificent features it comes equipped with into account. For more about Mapex Armony p800TW, check out customer reviews on Amazon. How Double Bass Pedals Work? Basically, double bass pedals work in the same way as single bass pedals, but there are certain differences. By applying pressure to the footpad, the drummer triggers the spring mechanism, which results in the beater motion. Simply speaking, the main method of operation of double bass pedals is the same, with the addition of another pedal, hence another beater. Each pedal is responsible to a single beater. The pedals are connected, but the method of operation relies on physics alone – pulling the weight downward results in pushing the beater outward. Even though most double bass pedals come with a set of instructions or a manual which explain the process, some beginners simply don’t find them helpful. Why is that? Due to the fact that there are various ways to adjust and setup your double bass pedal, most people don’t get it right the first time. Anyhow, we will provide a short walkthrough on how to do it easily. Different double bass pedals require a different setup process. This process is usually defined by the manufacturer in the “instructions manual” or the “user’s guide”. Try to keep the beaters pretty far back for example about a sixty-degree angle. To give a really defined beat. If you try to cheat keeping the beaters really close to drum head you’ll lose a lot of tension-producing a weak beat. Another great setting is to use a max spring tension to get the fastest response time on your pedal. We’re trying to maximise on the return of each stroke. If you have super loose tension your beater is going to pull back after each stroke with less energy. The higher your spring tension the faster and farther back your beater is going to get. on your primary pedal to the tension on your slave pedal. Because you need to compensate for all the extra mass. All you need to do to catch your bearings or see if you’re in a good place is make sure your pedals are secure to the ground and are not going to shake around and soak up any of that extra movement. Then bring your beaters to the head with the same hand and then just release them at the same time. Take your feet off the pedals and they should recoil pretty in sync. longer, the slave is always going to die out faster for all the extra mass. As long as you have the first four or five recoil swings in sync you’re going to be in good shape. If they don’t match just tightening up the tension to get them even. With these settings, you can definitely be sure you’re going to have a comfortable pedal to play with. Double bass pedals significantly reduce the fatigue of fast drummers. Metalheads, rockers, punkers – all of these hard-core musicians wanted the means to rock out faster, and double bass pedals provided the way. Our part is simple – we’re here to get you acquainted with the best double bass pedals on the market! If you enjoyed our guide be sure to check our articles for Electronic Drum kits, Beginner Drum Sets, Drum thrones and Cymbal packs. Hope you found you were looking for. Stay tuned and best of lucks!